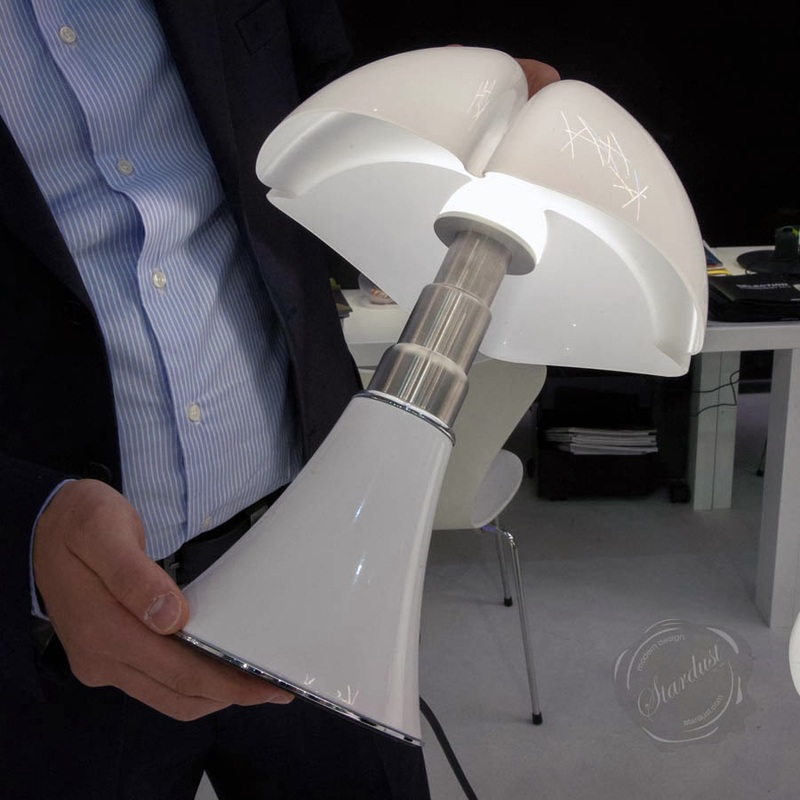 Did Someone pull a Honey-I-Shrunk-The-Kids prank on the PIPISTRELLO lamp? 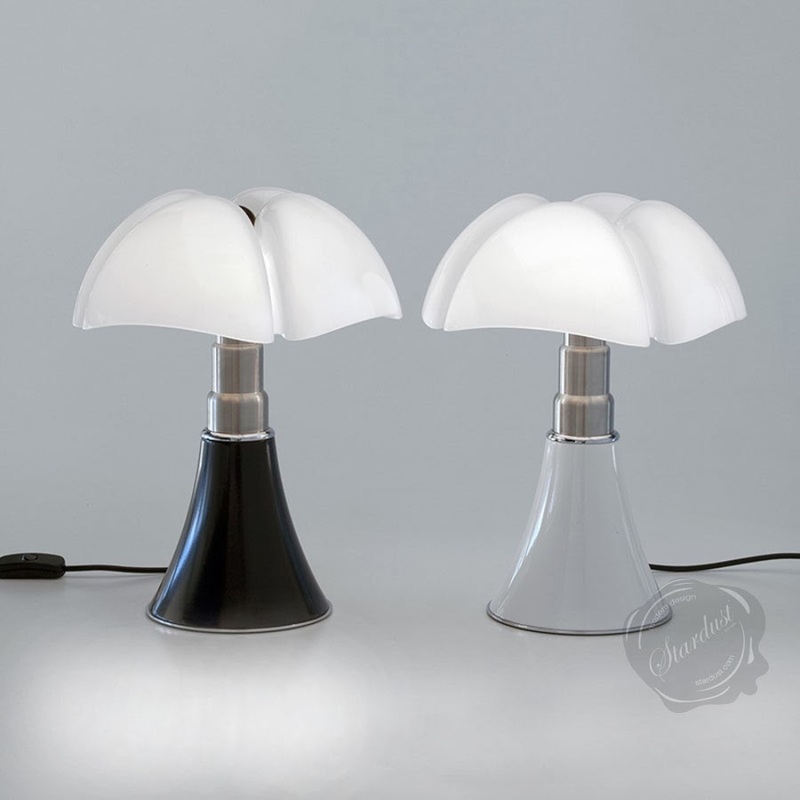 One of the highlights of Italian design is the iconic Pipistrello designed by Gae Aulenti in the mid 1960s. Like her architecture, Gae Aulenti's furniture and lighting designs were elegant, substantial and beautifully detailed. 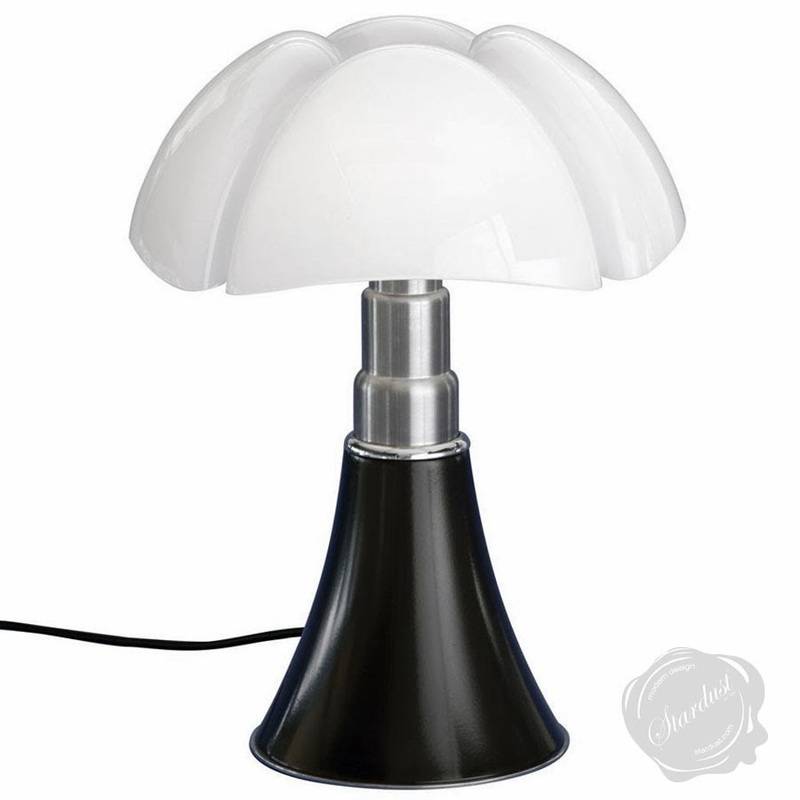 A case in point: her sculptural Pipistrello lamp, perhaps the most beautiful piece of Italian post-war design. 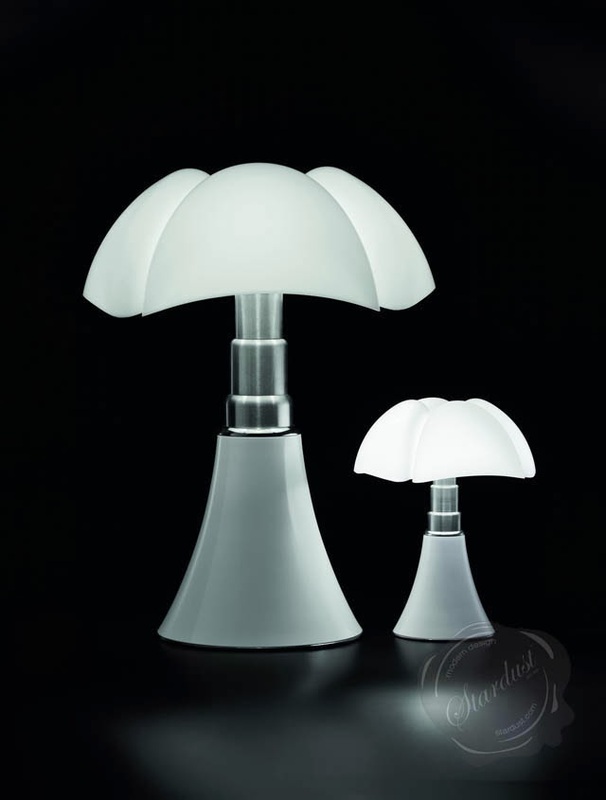 Presented at Maison & Object, this mini-sized version of the famous Pipistrello lamp is simply breathtaking. 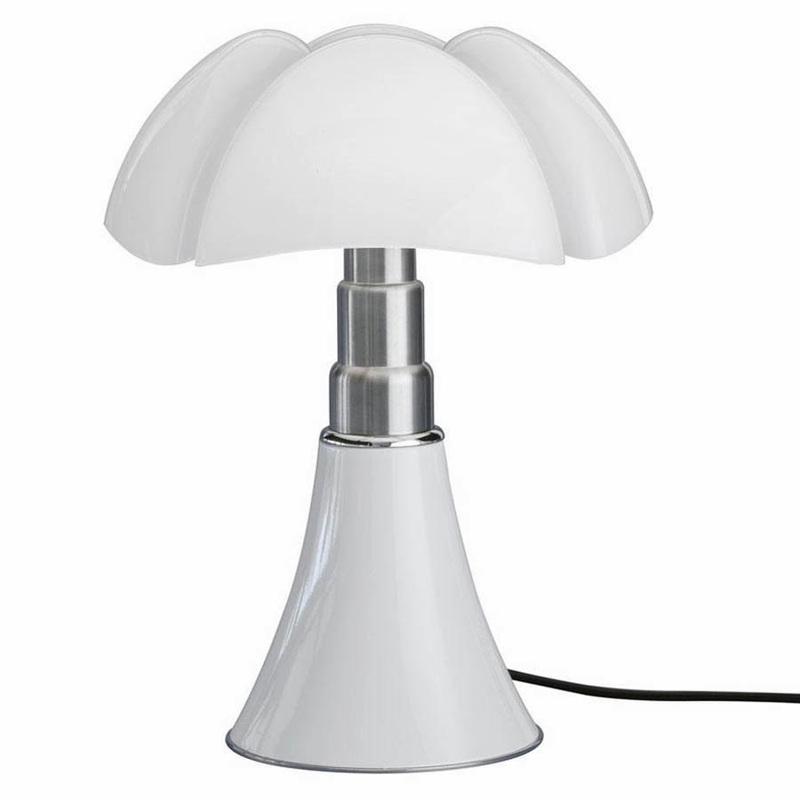 The Martinelli Luce Pipistrello Mini Table Lamp by Gae Aulenti provides a stylish accent for any room or table. The mythical Pipistrello returns in a mini table-top version! 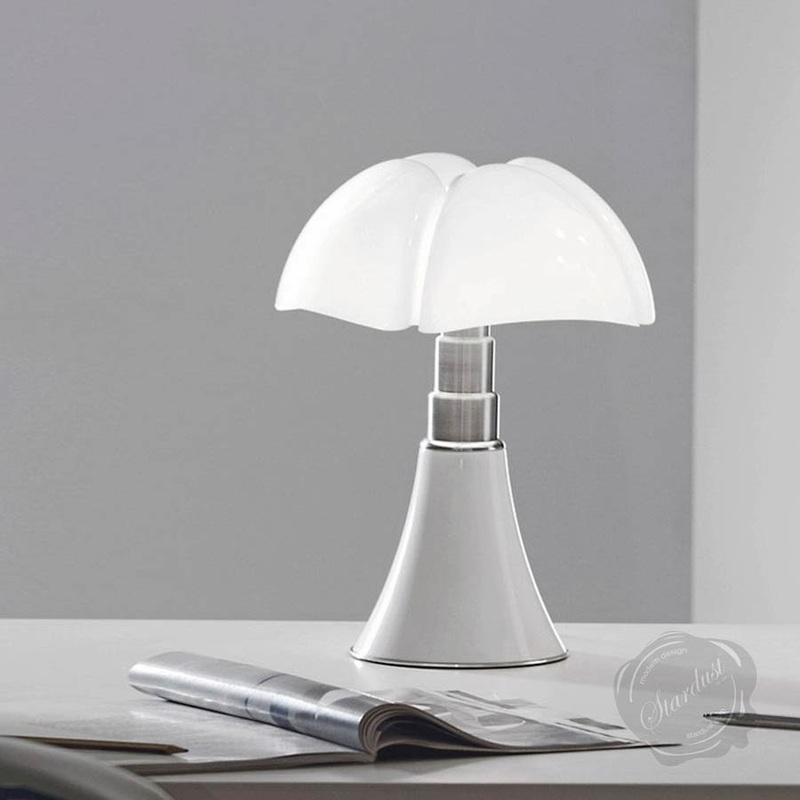 Smaller than her big sister (35 cms instead of the 66-86 cms of the original), the Martinelli Luce Mini Pipistrello will find its place everywhere: on a desk, a console, or even a bedside table. Pipistrello is part of these objects that constitute our universal heritage. 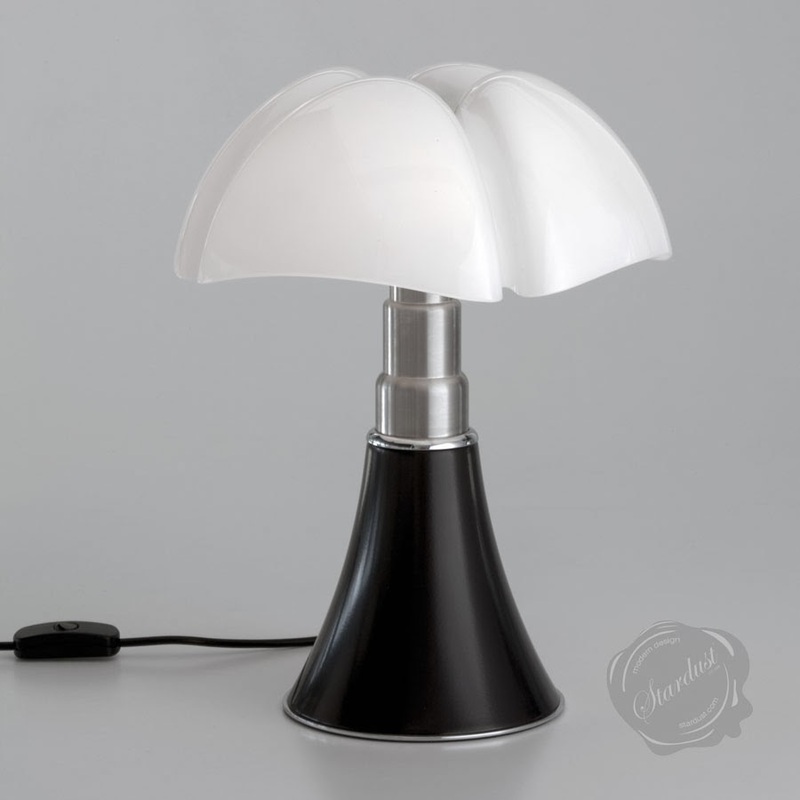 A cult design object because of its innovative take on art meets design, the Pipistrello has remained popular for over a decade and today is part the permanent collections of museums around the world. 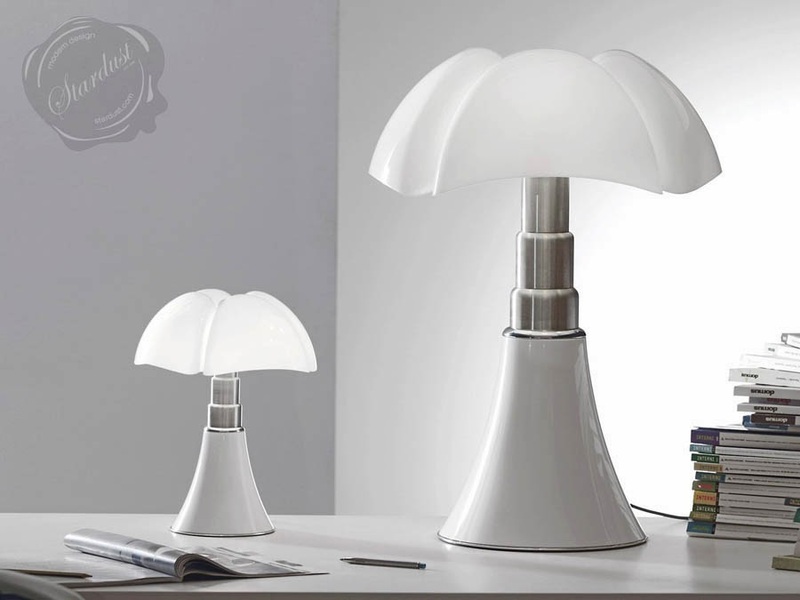 This modern icon of Italian design takes its inspiration from the shape of a bat (pipistrello in Italian). 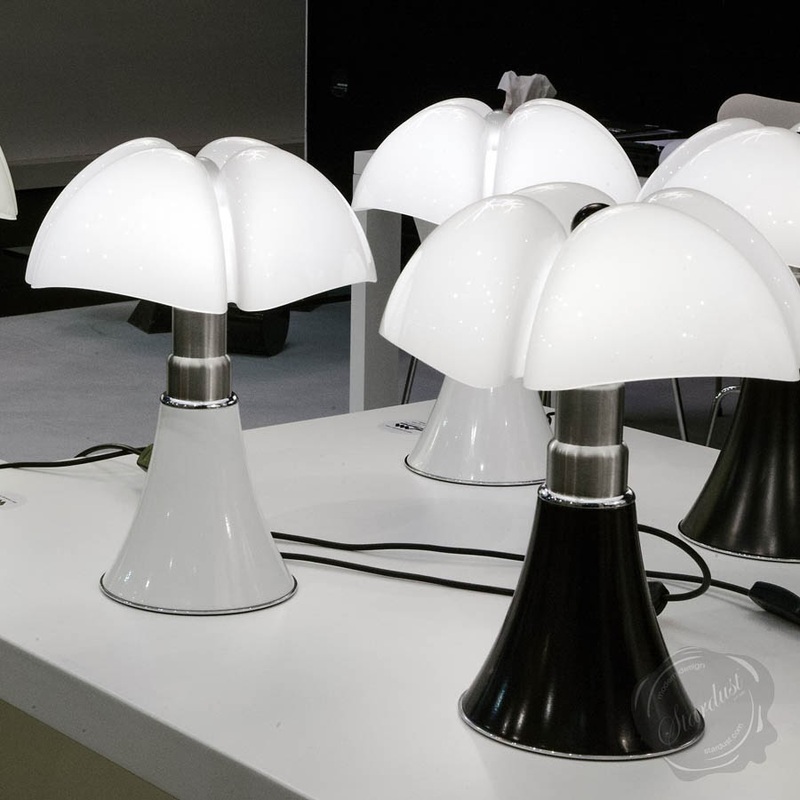 The sections of the lampshade, crafted from white opal methacrylate, clearly evoke a bat's wings. This new Mini Pipistrello measure 13.78" in height and 10.63" in diameter (its proportions are exactly half compared to the original size of the full-size original Pipistrello). 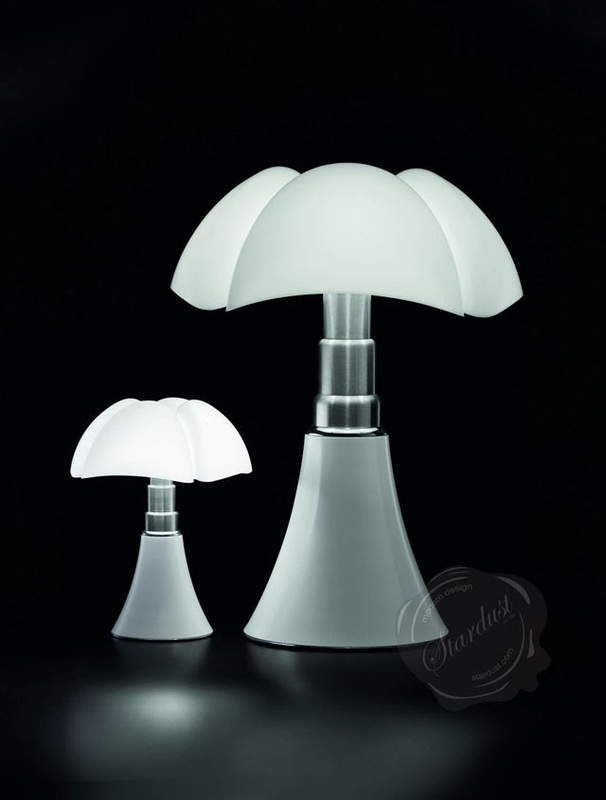 Unlike the full-size Pipistrello which has a telescopic stem, the Mini Pipistrello lamp has a fixed height. 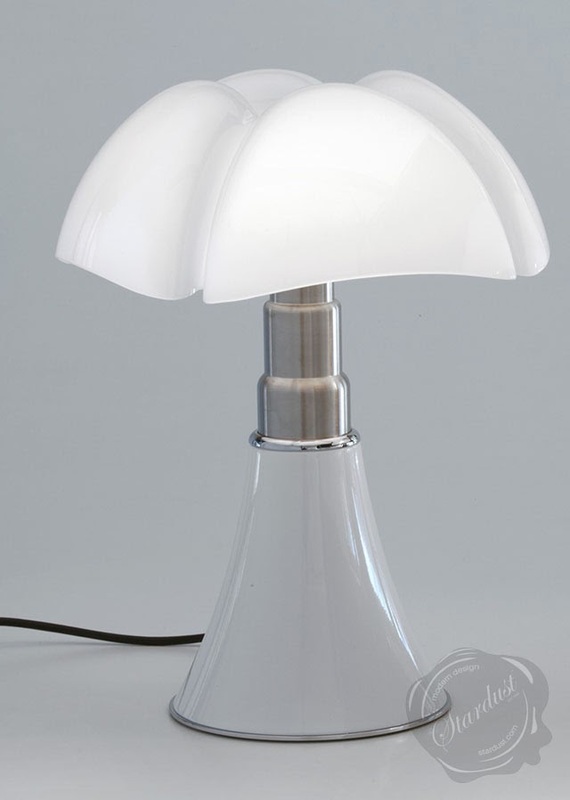 Mini Pipistrello is outfitted with an energy efficient 9W LED bulb (included). 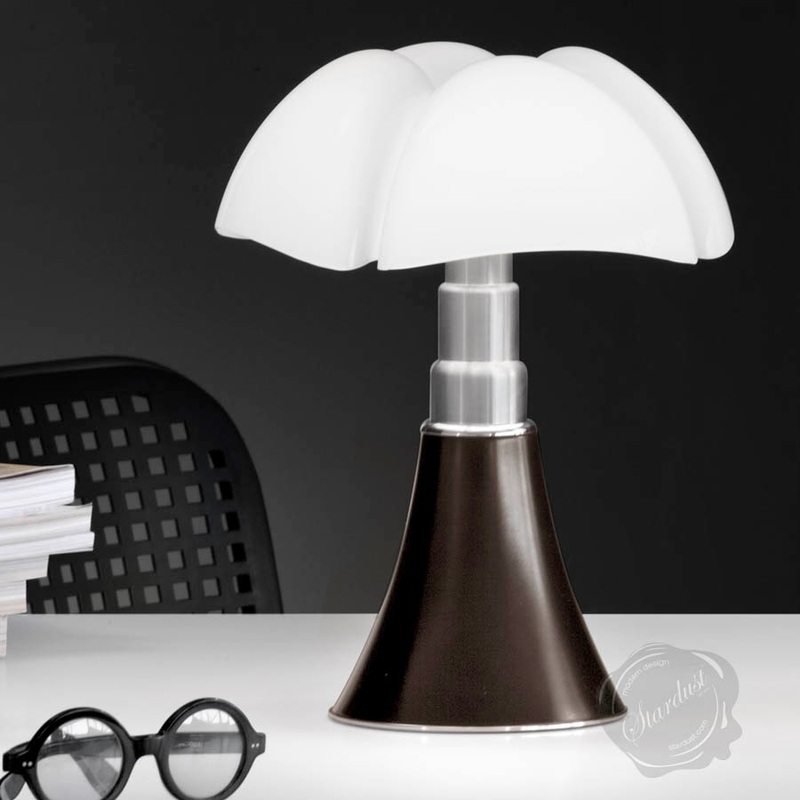 The Mini Pipistrello is a simple, yet beautiful table or desk lamp. On with the Images already!